Moving to Spain? Opening a bar? Getting a job? Buying your dream home? Or Just need to open a bank account? Then the first thing you will need is a NIE Number. 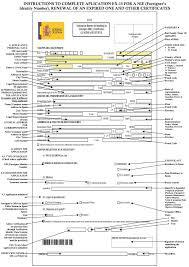 The problem is all the forms are in Spanish and you need the NIE Number forms translated into English. To obtain your NIE Number in Spain there’s 3 main application forms you need to fill in. These are the CITA PRIVA NIE Number booking form, the EX-15 and the form 790 . This form is used to book your NIE Number appointment. A good Standard of reading Spanish is required to complete this form correctly. If you do not feel confidant to fill in this form your self please use our form and we will do this for you. This form is known as the, Tasa modelo 790 Código 012. Reconocimientos, Autorizaciones y Concursos, in Spanish. This form is used to pay your government NIE Number fee. This form MUST be completed correctly. If you have a form translated into English this will not be accepted at either the bank or the Police Station. This is your main application form for your NIE Number appointment. 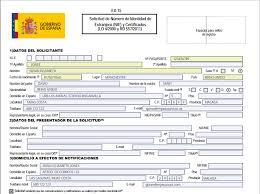 This form can be quite complicated and ensuring it is completed in correct Spanish is important. Forms EX-15 translated into English will not be accepted at the Police Station. None of these forms are automatically translated into English. All forms must be submitted in Spanish. NIE NUMBER Forms translated into English wont be accepted at your appointment. All these forms are written in Spanish. Please note: English translated version of the forms will not be accepted at your NIE Number appointment at the Police station. 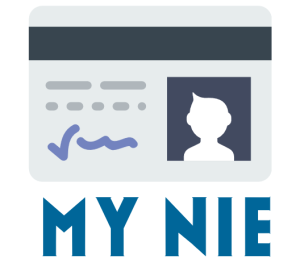 All your NIE Number application forms must be completed in Spanish. Here at MY NIE Number Spain we can fill in all the forms for you in Spanish and book your appointment at the police station. Once we have booked your appointment and filled in both your NIE Number application forms, one of our representatives will get in touch and tell you what to do at the police station in Spain. We will also include our handy e-book guide. Ensuring your NIE Number application forms, EX-15 AND 790 are filled in correctly is vitally important. If you make a mistake on your Spanish application form you maybe refused an NIE Number at the police station. We do not recommend filling in the forms your self unless you are 100% confidant you know how to fill them in properly. If you need your NIE Number Spain Fast we recommend filling out our Fast and secure booking form today and one of our representatives will get back to you within 24hrs with your booking time and your completed paperwork. 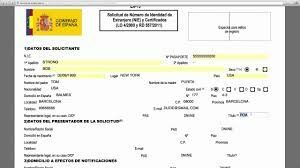 Translating the Spanish NIE Number forms into English is possible using Google Translate, however we do not recommend submitting your NIE Number forms your self unless you are 100% confidant. If you fill in the translated forms wrongly you could be sent away from your NIE Number appointment and not receive your certificate. This will mean booking a new appointment. How do I fill in the Spanish NIE Number forms? Here at MY NIE Number for a small fee of £20 we will fill out all your paperwork, book your appointment and send you all the details. All you need to do is turn up at the police station at the time we provide you and hand in the paperwork we have completed for you. 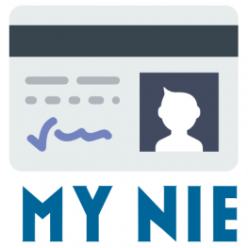 Click here to book your NIE Number appointment today! I filled in my name wrong on the Spanish NIE Number booking form website. What Can I do? If you have filled in the Spanish NIE Number application form on the booking website incorrect this can be a nightmare. In Spain you can only have 1 CITA PRIVA appointment at a time. Most of the time its possible to use the cancelation button on the website to cancel your appointment but please be aware that sometimes this function is not operating. As such you may need to wait until after the appointment date you was allocated to re-book. The Spanish police generally require the forms to be filled in correctly. They are unlikely to be sympathetic to any mistakes. I tried to translate the NIE Number forms into English and made a mistake, can you correct them for me? Here at MY NIE Number Spain we can fill out all your NIE Number forms and email them back to you to print. Just use our easy English Language booking form at www.mynie.co.uk and one of our team will fill in all the forms in Spanish and Email back to you to print. Why are the NIE Number forms in Spanish and Not translated English? When in Rome act like the Romans. When in Spain you will need to get used to their forms being in Spanish. 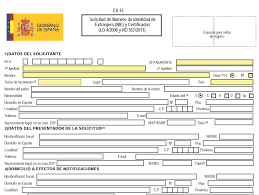 Very few forms including the Spanish NIE Number form are translated into English. Be Careful of online NIE Number forms that claim to be correctly translated into English, we have seen many with mistakes which could mean you being sent away from your NIE Number appointment. Can I download the NIE Number application form in English from the Spanish website? 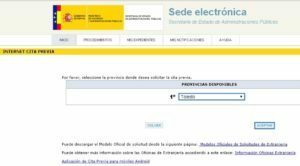 At this time, the Spanish NIE Number booking website does not allow an English version to be downloaded from its website and all forms must be completed in Spanish. Why do the NIE Number forms need to be completed in Spanish and not English? You will find most of the staff at the Police station will be Spanish. Sometimes there will be an English Translator on site to help you, however, your forms even if they are translated into English need to be completed in Spanish. Need a NIE Number? Visit our home page to read more about our Fast, Budget, £20 NIE Number form filling service or Visit our English NIE Number booking page to get your NIE Number application today! Hi, I need the NIE Number forms EX15 AND 790 translated into English. Can you send me them? I will pay no problem. How fast can you get me a NIE Number in Madrid? Hi Roy! Thank you for your message. If you book today we can probably get you into Madrid for the NIE NUMBER appointment really fast, maybe by Friday. Please use our NIE Number booking form and one of our NIE Number experts will be in touch. Hi, I have been confirmed an appointment time for presenting my application at the police station. Can I pay the tax at the bank as early as two weeks before ? Hi Hugh. Yes you7 can pay your NIE Number tax at any time before your appointment. Your form 790 NIE Number tax form stays active for 1 year from the date of payment. Next Next post: DO Spanish NIE Numbers Expire?